Who is Irwin Simon and why did he buy a basketball team in St. John's? Irwin Simon, owner of a multi-billion dollar natural foods company, says he bought the franchise to enter an "opportunistic" St. John's market. Why would a man worth millions, at the helm of a publicly traded company worth more than a billion, want to buy a basketball franchise in St. John's? According to Irwin Simon, it's a chance to enter an "opportunistic" market and make trips back home to Atlantic Canada. 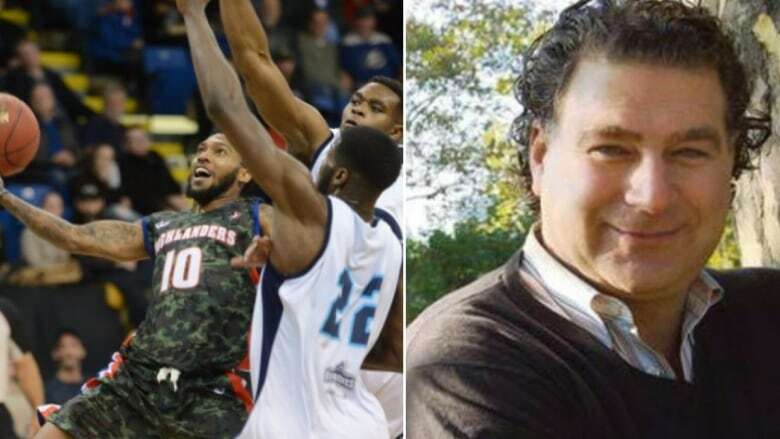 The Nova Scotia-born businessman spoke with CBC News earlier this week about his decision to finance a National Basketball League of Canada team. "First of all, No. 1, I'm Canadian. I was born in Nova Scotia," he said, when asked why a New York businessman would be interested in St. John's. "It could be a lot of fun and an interesting place to spend some time." Irwin will co-own the team with Robert Sabbagh, owner of Bay Ridge Honda Volvo in Brooklyn. It was a rocky process in landing the team. While Simon, Sabbagh and partner John Graham had made a deal with the league, the city had made a deal with a separate ownership group to lease the arena. 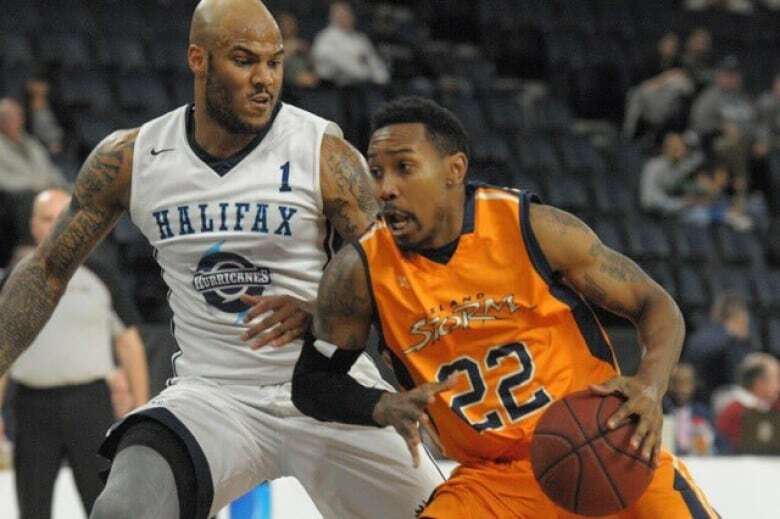 The league pulled the trigger early, tweeting it had made a deal to land professional basketball in St. John's and inciting some controversy with city officials. Numerous deadlines were set by the league and the city with several groups since bidding began for a team in May. Nearly every deadline was missed along the way until a deal was finally reached Monday. Simon and Sabbagh met when they sat on a volunteer board in New York. As their friendship grew, so did their business interests, Sabbagh said. "Something like this, it's exciting to try to bring some excitement to an area," he said. "Even though I don't know the area very well, I think we can do some good there." With the little he does know of St. John's, Sabbagh said there seems to be a great pride in the city — much like his home of Brooklyn. As for details of when the team will begin to take shape — players, staff, scouts, management — Simon offered only one word. Simon graduated from St. Mary's University in Halifax with an arts degree in 1979. According to a Globe and Mail profile, he worked a few sales and marketing jobs before starting his own company — the Hain Celestial Group. By 2001, Hain Celestial was selling more than $500 million of product annually, and Simon owned about $75 million in stock. It hasn't all been rosy, however. Last summer, the company's shares dropped more than 35 per cent when an accounting error was identified. A New York Times article says Hain Celestial may have counted revenue when product was sent to distributors — not when it was actually sold by the distributor. Their stock plummeted overnight, resulting in a loss of $1.5 billion in value. Simon would later call it the "year from hell," but says his company is now on strong footing and optimistic for the future. An investigation into the matter by the Securities Exchange Commission found no criminal wrongdoing by the company. In the same New York Times article, it is stated that Simon made an average of $18.1 million in compensation between 2013 and 2015. While speaking with CBC News, Simon said his interest in St. John's is about more than just basketball. It has been no secret the NBL-Canada would prefer a franchise to be tied with a major junior hockey franchise. All but one of its teams last season shared venues with hockey teams in the Ontario or Quebec major junior leagues. According to Simon, there is interest to bring hockey to St. John's — a historically hockey-loving city. But he wants the city's sports fans to open their minds to basketball in the meantime. "It shouldn't be a one-sport town," Simon said. "Hockey is not available right now so Rob and I are coming in there and making our commitment [with basketball]." The team is slated to make its debut in Charlottetown, P.E.I., on Nov. 18, taking on the Island Storm. 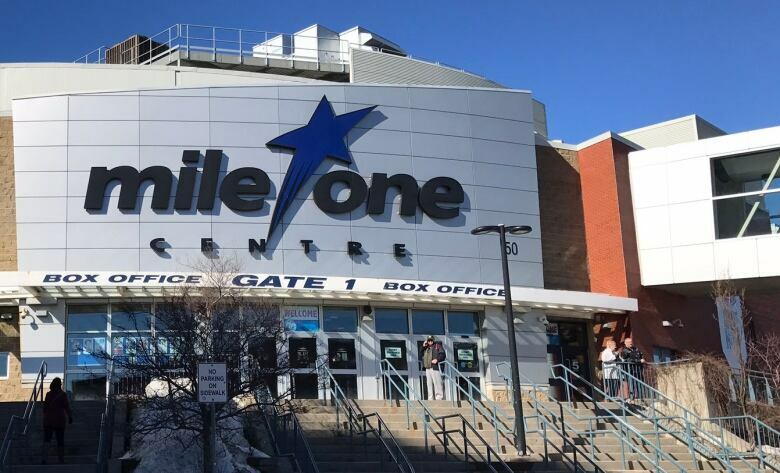 The yet-to-be-named franchise will make its home debut on Dec. 1 against the Niagara River Lions.